A dense, rounded tree. It blooms in the spring with 3" long racemes of white flowers. 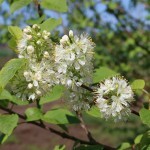 It will develop small black fruit in late summer. 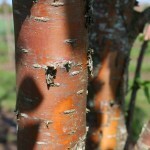 The exfoliating bark ranges from brownish yellow to cinnamon brown. 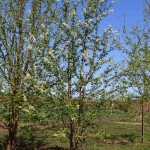 It grows in average, medium moisture, well-drained soils in full sun to part shade. It is intolerant of high heat and humidity.